Welcome to our March 2019 E-Newsletter! Welcome to this Animal World Carnival! That bring you back to nature, feel their lively, unique and stylish. This time, the innovative table lamps are processed with luxurious plating effect on poly material, 3D cut surface shape and storage function, plus the Led doorbell, locker lights, 2 in 1 table lamps and plastic LED lamps. 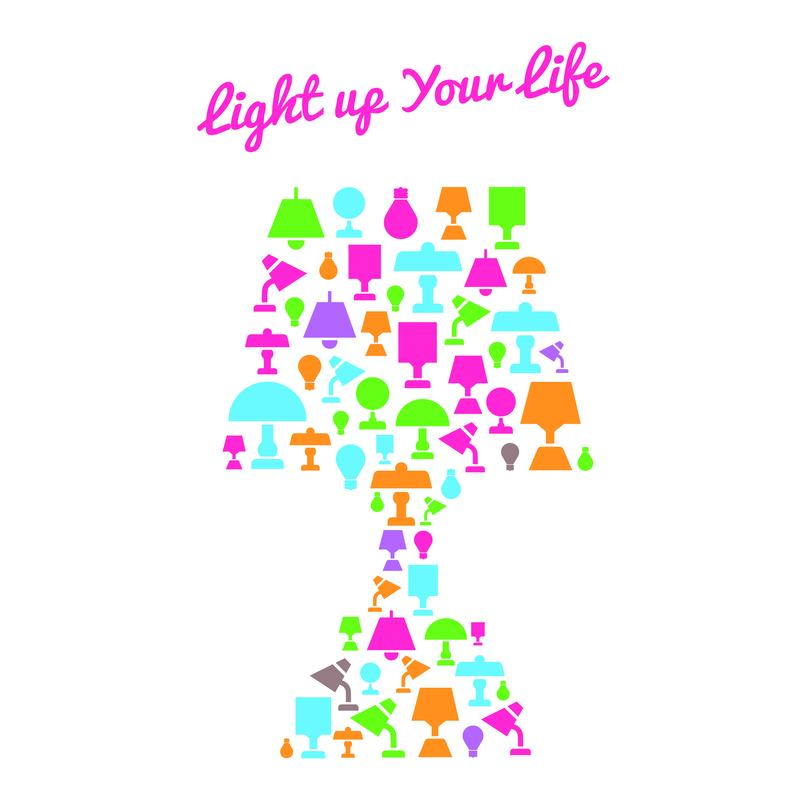 All of the lamps are available for your option to mix and match your decor to build up a chic place. Click "More" for more photos! Welcome to our E-Newsletter in December 2018! 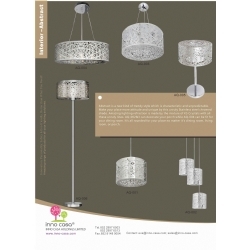 Several series including Indoor, Outdoor and Innovative Lighting. They are minimalist, industrial, stylish and various styles. 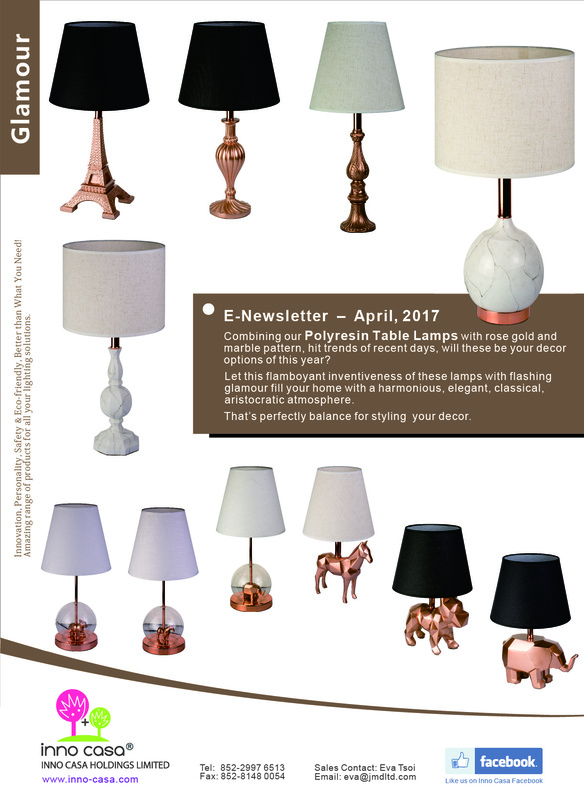 This time, the innovative table lamps add with luxurious plating effect on poly material, 3D cut surface shape and storage function. 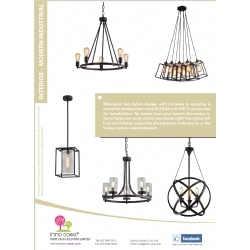 Our products could be available for your option to mix and match your decor and make it become unique and chic place. What are you waiting for..? Take action Now! 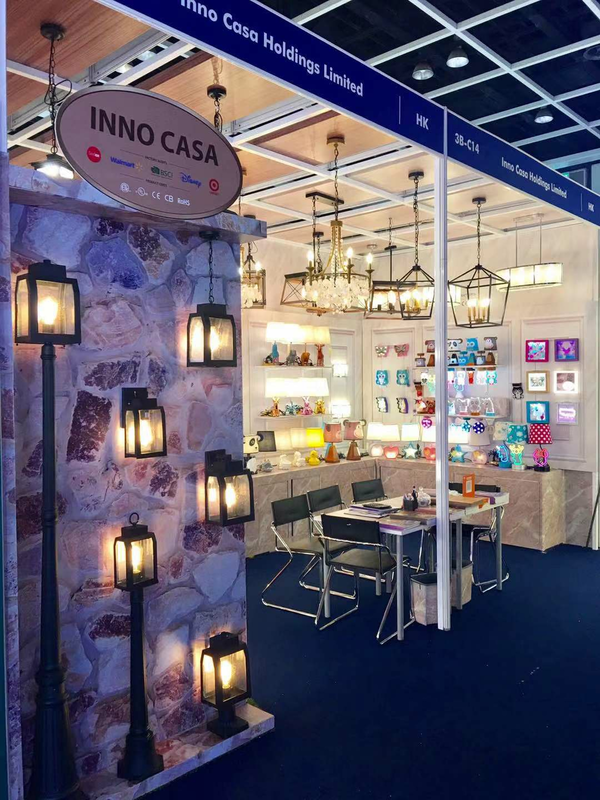 Inno Casa have successfully completed the Asia's largest lighting fair from October 27-30, 2018, the Hong Kong International Lighting Fair (Autumn Edition) organized by HKTDC. We are pleased that customers have impressed with our new indoor, innovative and outdoor lighting series launched in this year. We look forward to working closely with our customers and have more interactive contacts in the near future. Welcome to our June E-Newsletter! 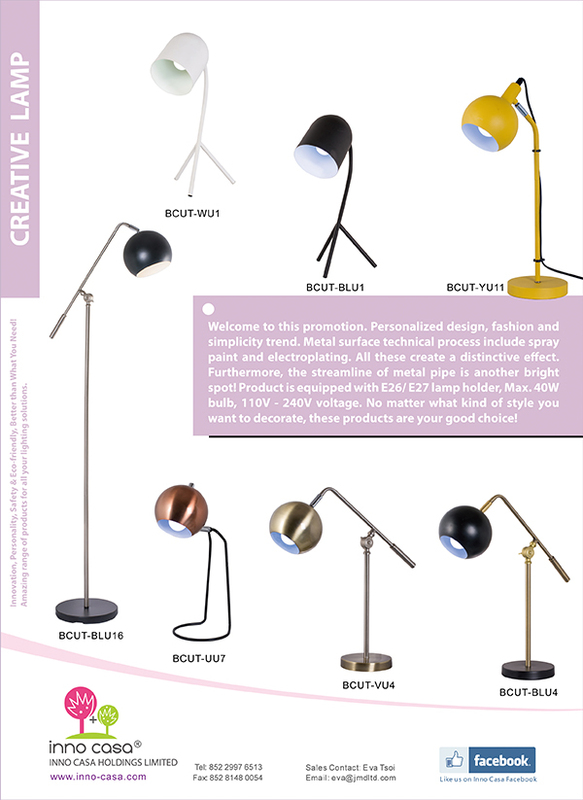 Come and see our new lamps in June! 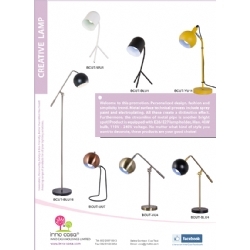 The Desk lamps and Floor lamps with perfect combination of spray painted & electroplating metal. The streamline of metal pipe is another bright spot. Personalized design, fashion and minimalist style, you cannot let it go! 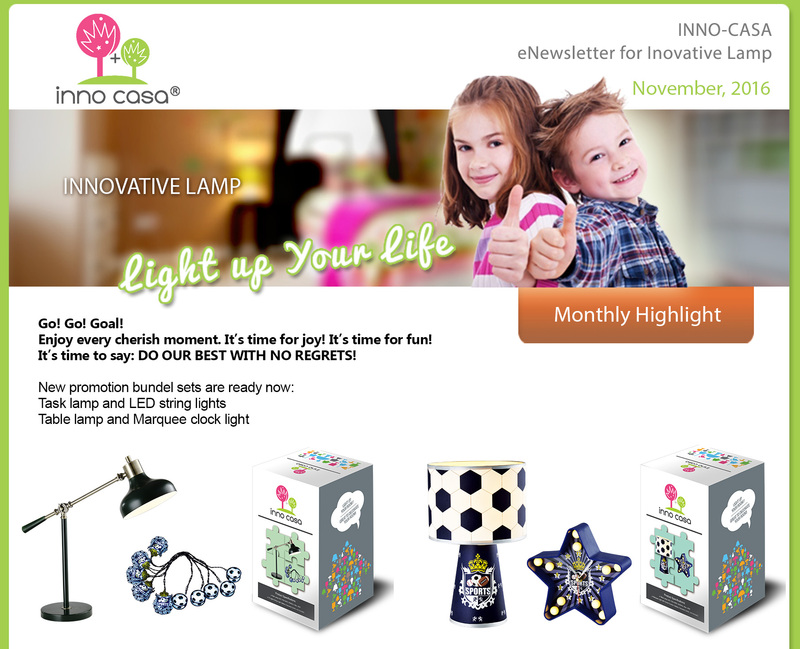 Welcome to the promotion of Inno Casa in this month. Industrial wind combining the textured spray paint effect with wood grain water transfer printing in style, making your space enhance a level. Want to experience a stylish life？Then what are you waiting for? Come on! Welcome to our June E-Newsletter! 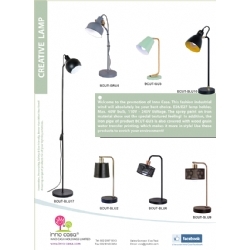 Painted metal Reading lamps and floor lamps. Modern, simplicity and fashion. The marble water transfer printed bases adding a sense of luxury to this series. Come on! Pick a style you like! Welcome to our monthly highlight of May! 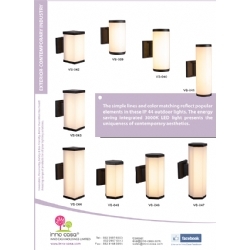 We launch several different series of lightings including interior and exterior lamps. Here are various styles such as popular contemporary, gorgeous, simple and down to earth, all are available for you to create a unique and fashionable personality. Actions speak louder than words. 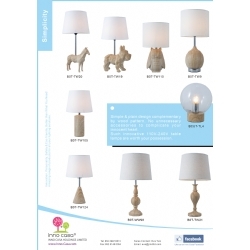 Let's choose favorite lamps to create a different kind of perfect style for your residence! Hey! 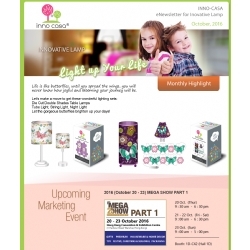 Welcome to our monthly highlight of November! 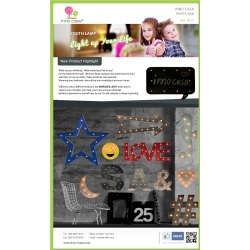 Take a look of our latest kids' lighting products. Share this energy to all of kids around the world. Get these bundle sets If you want to create a fun and energetic living environment for your kids, just take action now! 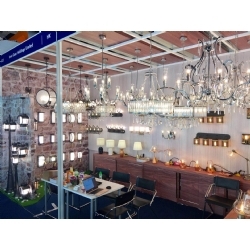 On 5 October 2015 (Monday), the Hong Kong International Lighting Fair 2015, the Hong Kong Electronics Fair 2015, the ElectronicAsia and the World of Outdoor Lighting & Lighting Accessories 2015, organized by HKTDC, held a joint press conference which was attended by representatives of more than 30 media, including Economic Daily, Sing Tao Daily, Wen Wei Po, China News Service, Headline Daily, Apple Daily, Metro Finance, Commercial Radio etc. 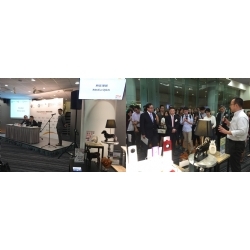 Lighting exhibitors attending the Press Conference included our company Inno Casa Holdings Ltd., AZ E-Lite (HK) Limited (listed in Singapore), Neonlite Electronic & Lighting (HK) Limited (listed in HK), LEDUS Lighting Technology Limited, New World Dynamics, etc. Mr Benjamin Chau, Deputy Executive Director, HKTDC and Dr Lo Wai Kwok, Chairman, HKTDC Electronics / Electrical Appliances Industries Advisory Committee, were the keynote speakers of the presentation, who have shared the latest market trends, product trends, market review and participation of exhibitors. Our company Product Director Mr Lau, the first speaker on behalf of the Lighting Fair exhibitors, then introduced our new INNO CASA line which adopts a young style - the LED Animal Lighting series, which received great response at the Press Conference. 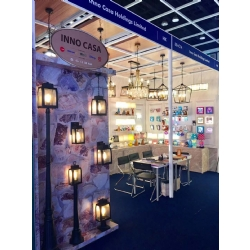 Guests and media showed strong interest in INNO CASA products, and enquired about the distributors and available markets of INNO CASA products. Ring the bell ! Welcome to our December e-newsletter. 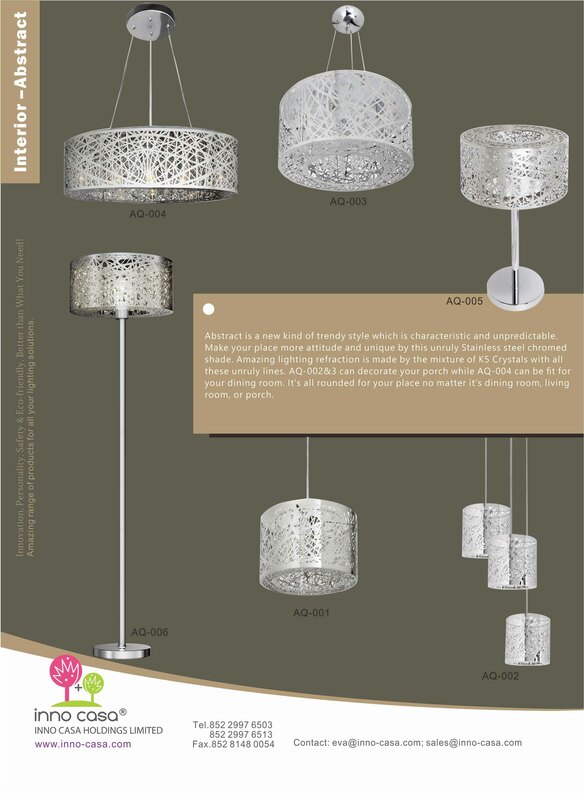 and here we are excited to show you the new Porcelain Light series. Lets get the little angel and cute animal buddies to art up your world. 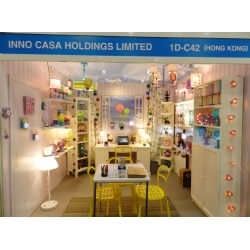 Customers are highly impressed by Inno Casa products and actively establish business relationship with us. Even the media is interested in our booth and have an interview with us. We are very pleased to see such a successful response and are looking forward to working closely with customers and having an interactive relationship in the near future. 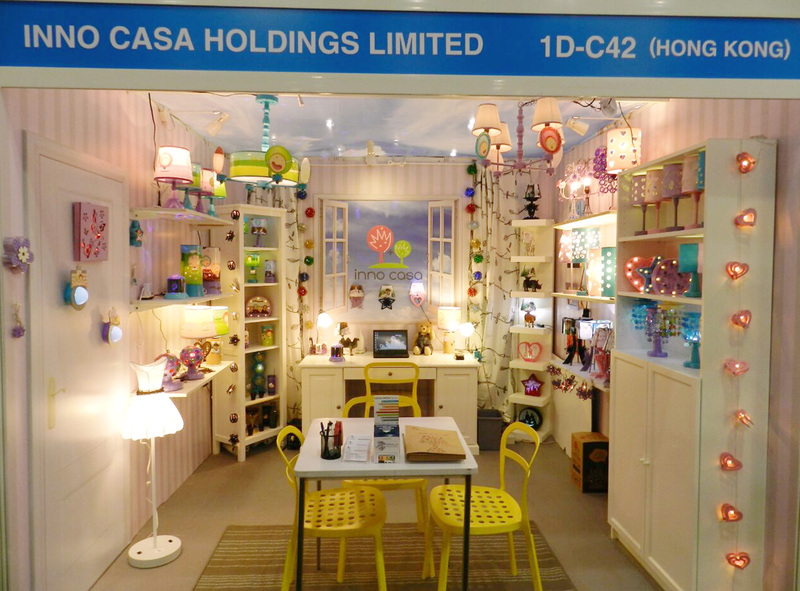 During 20 - 23 October, 2016, Inno Casa attends the Hong Kong Mega Show Part 1, the largest and most importatnt sourcing trade exhibition for gifts, premiums, housewares, lifestyle products in the Asia-Pacific region. 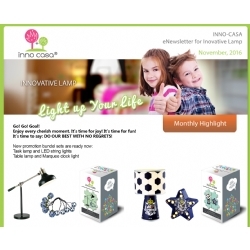 Welcome to our monthly highlight of November! 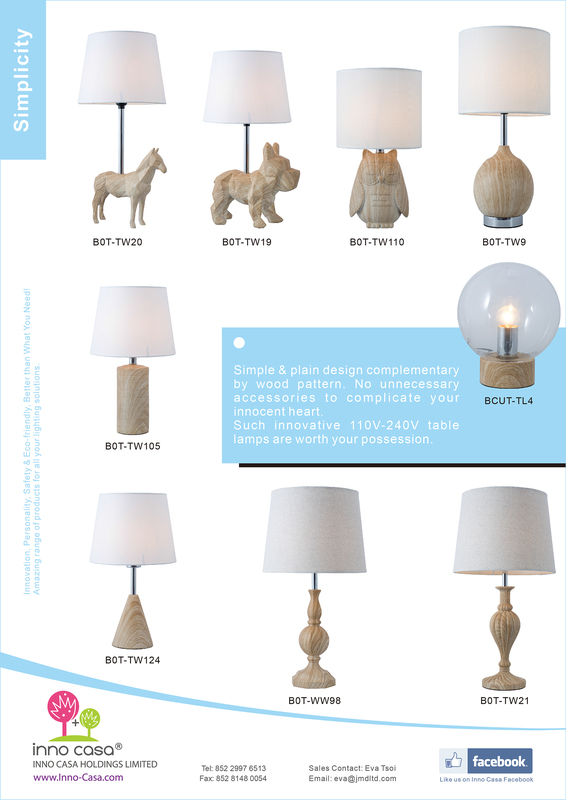 After the October exhibition, we have developed new wood pattern design table lamps this month. 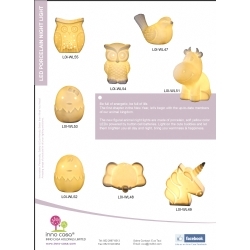 Welcome to see our 2014 new catalogue. We've developed different new items in October 2014, and glad to introduce our two new series "Macaroonelia Choir" and "Sportselia Team". 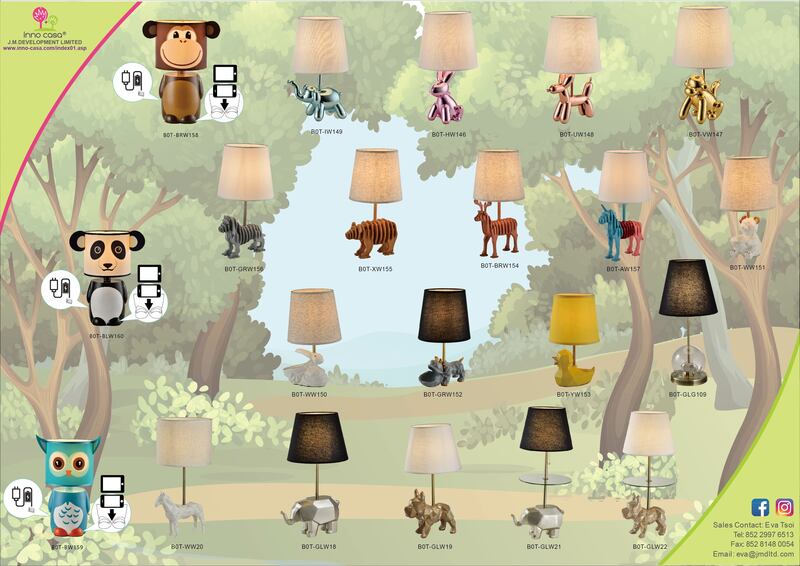 Besides the two new pattern, new porducts are including Chandelier, Plywood Animal series, Creative Table Lamp, Music Speaker Disco Light and other innovative itmes. 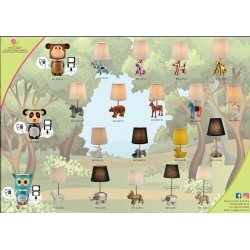 The large selection of lighting and lamps specially for your family, and believe our lamps will make our children's room outstanding and complete. Hey! 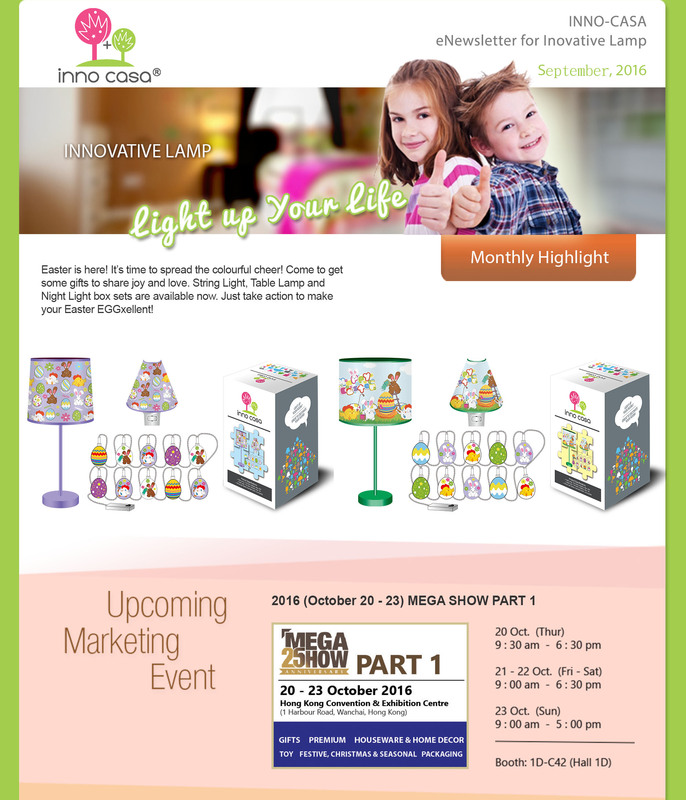 Welcome to our our monthly highlight of September for our items and upcoming event! 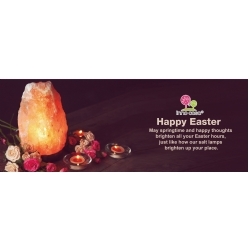 This month we mainly focus on the items for Easter. Let these colorful lightings brighten up your days! Take action to experience this joy now! Hey! 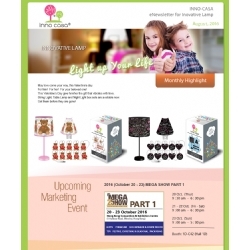 Welcome to our monthly highlight of July! 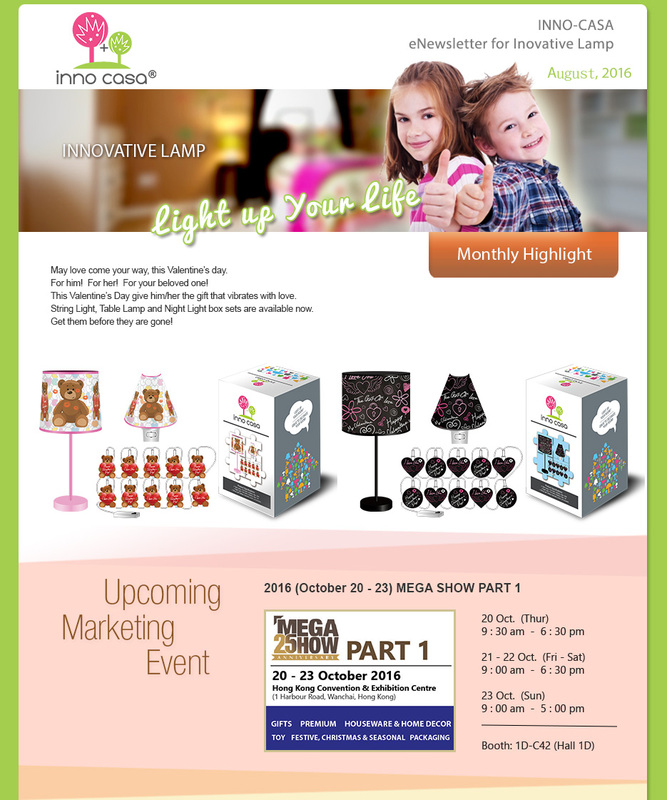 We would like to share our latest kids' lighting products and incoming events with all of you. Just check it out and share this joy to all of kids around the world. If you want to create a fun and unique living environment for your kids, just take action now! HappyNew Year! Welcometo check our January 2018 E-Newsletter. 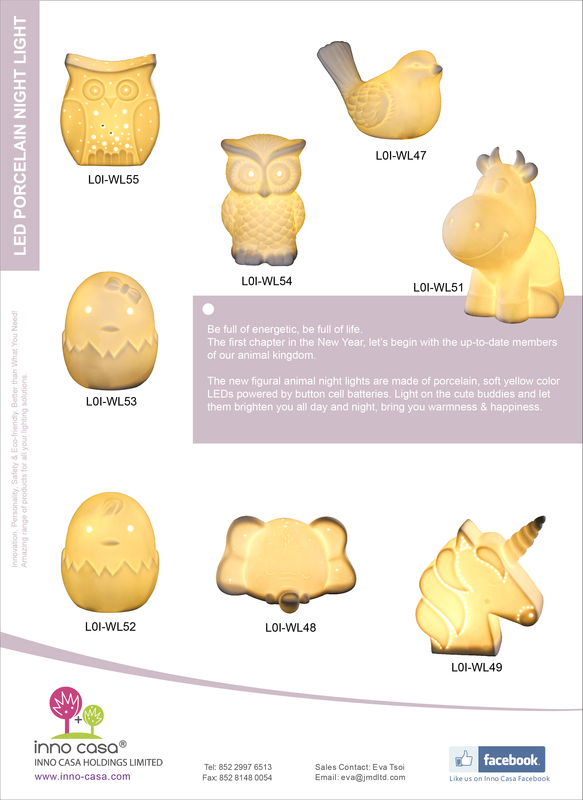 Showing you the cute fignural animal Porcelain Light series again. However, this time the special difference is LEDspowered by button cell batteries. Happy New Year! Let's write something good on your new page of 2017! Check out our monthly highlight of January for our new items! Just tailor make our MARQUEE LIGHT for what you want to express! 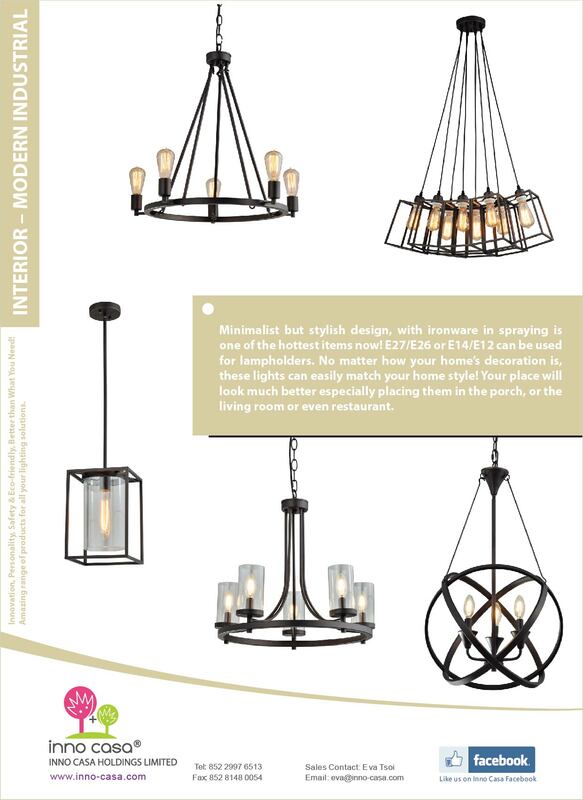 Let these unique lightings warm up your 2017! Take action to spread your joy to the others! Bling Bling sparkles with personality! 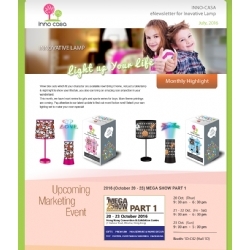 Welcome to our monthly highlight of May. 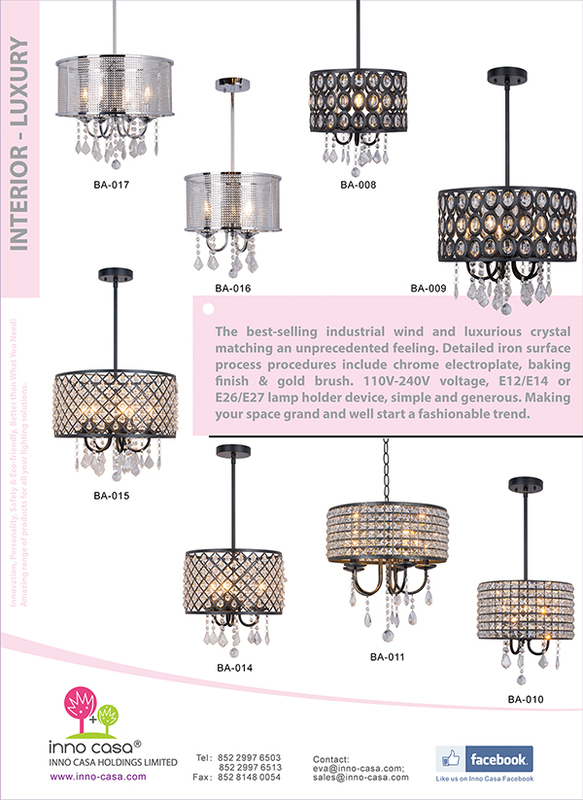 Take a look of our Latest lighting styles: fashionable crystal luxury wind and industrial simplicity wind. Here is your best choice ! What are you waiting for? Let us use this different style to switch out a comfortable home style, leading the fashion while creating a taste of good life! 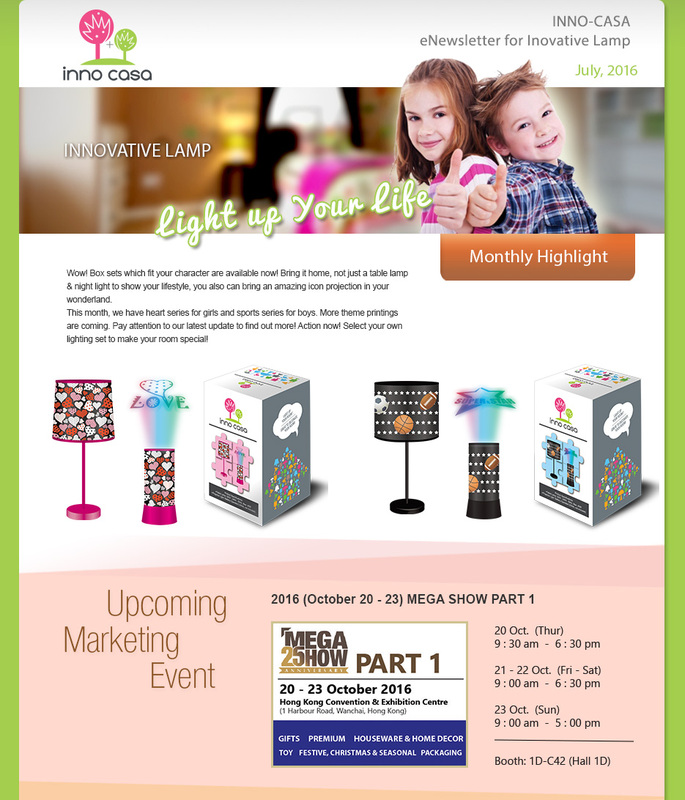 Welcome to our monthly highlight of June! 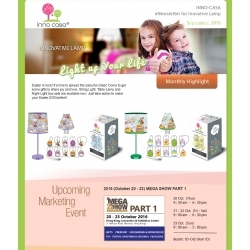 This month launches several series of lightings including indoor and outdoor lights. 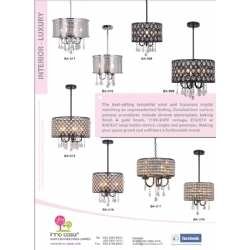 Wide range of style for your interior and exterior decor options. Modern minimal, Vintage, Luxury style are also available for your option to mix and match your decor to make it become a unique and chic place. 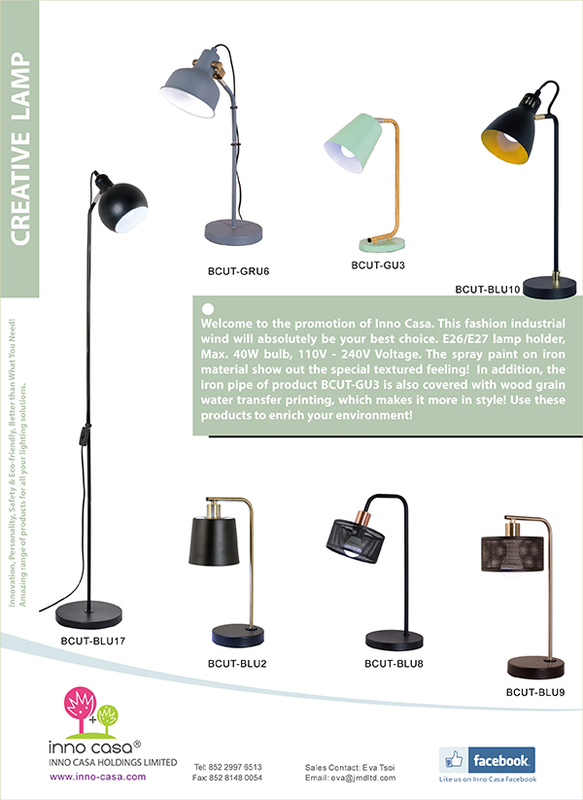 Just take a look of all these products and get these lamps for styling your places perfectly;)! Click "More" for those items' photos! 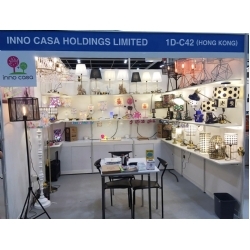 Inno Casa have successfully completed the Asia's largest lighting fair from November 27-30, 2016, the Hong Kong International Lighting Fair (Autumn Edition) organized by HKTDC. 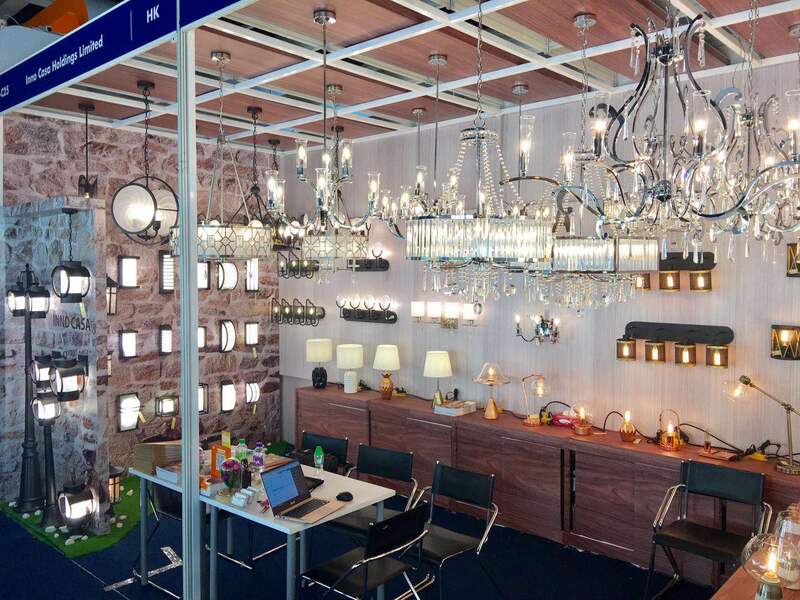 We are pleased that customers have impressed with our new indoor and outdoor lighting series launched in this year. More Porcelain Light series for e-newsletter on December. 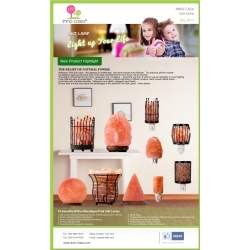 carousels and sweet shapes bring to your room and have a sweet dreams! Hey! It's summer now, if you want something fresh and new, then you should take a look of our our monthly highlight of August for our items and upcoming event! This month we mainly focus on the items for Valentine's day. Get well prepared to create your romance to your love , just take action now! 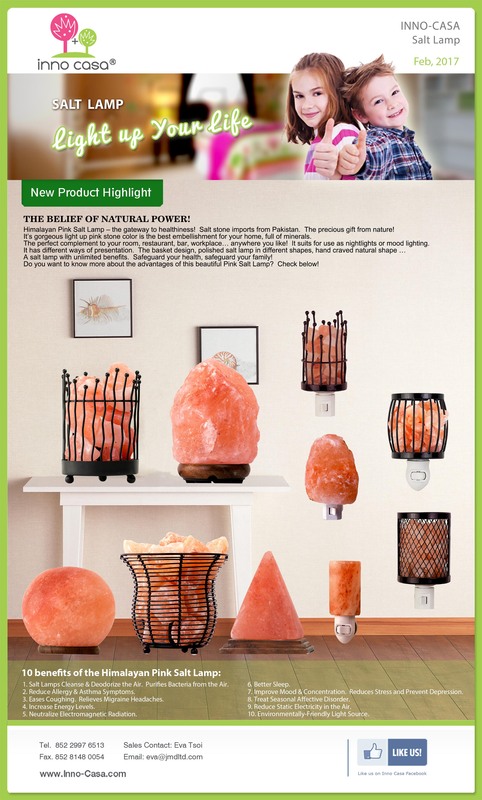 Himalayan Pink Salt Lamps, something fresh and new are launched in this month. Take a look of our our monthly highlight of February. 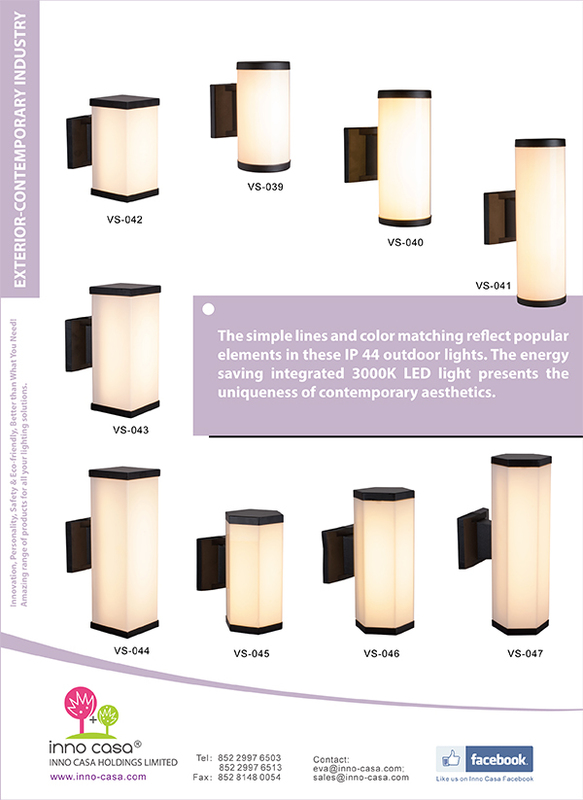 It's the latest trend for health and lighting, which can provide us a soft glow with loads of health benefits! Just take action to get this cool and amazing experience! 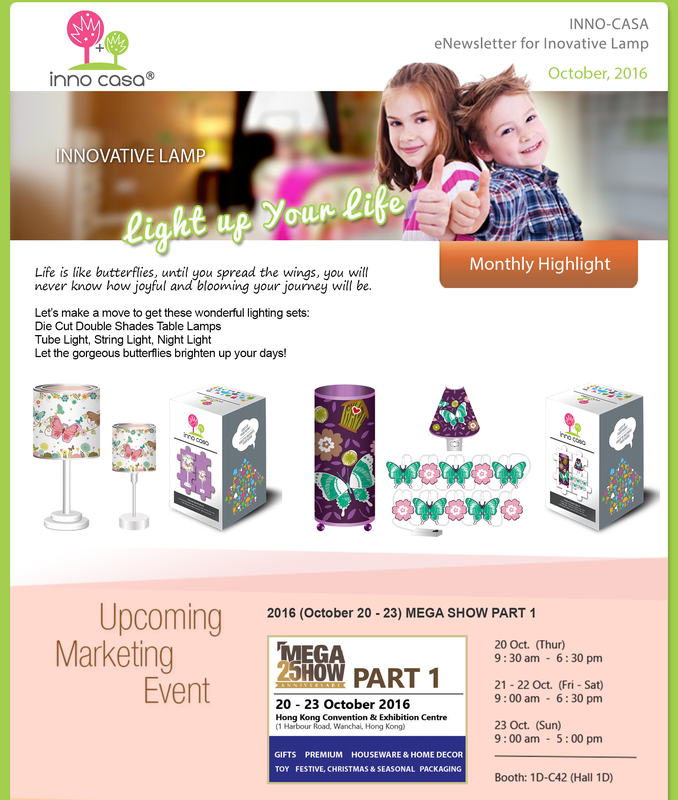 Come to take a look of our our monthly highlight of October for our items and the details of upcoming fair in Mega Show! 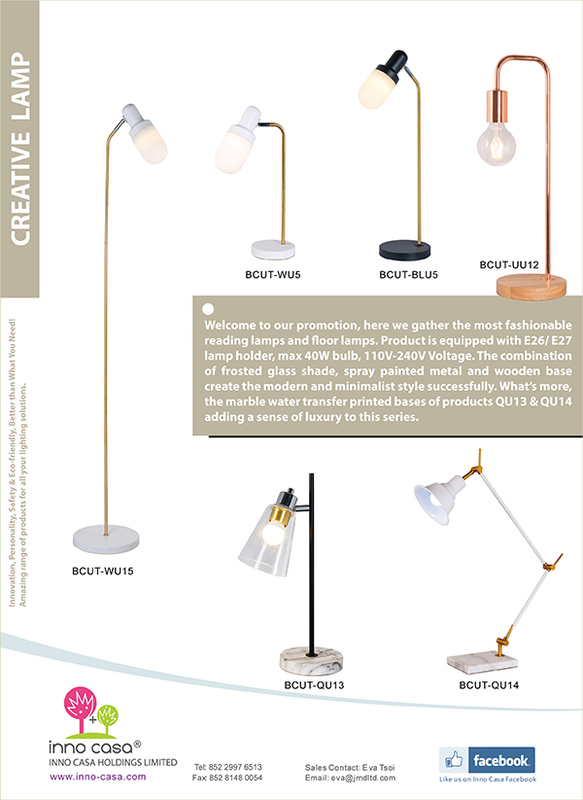 This month we mainly focus on our major butterflies lighting items. 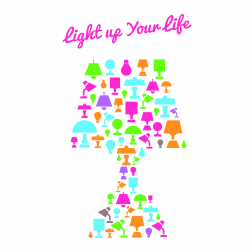 Let these lightings decorate your spaces and take action now! Welcome to our monthly highlight of April! 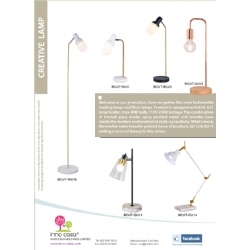 Do you want something trendy but also elegant lamps for your decor? 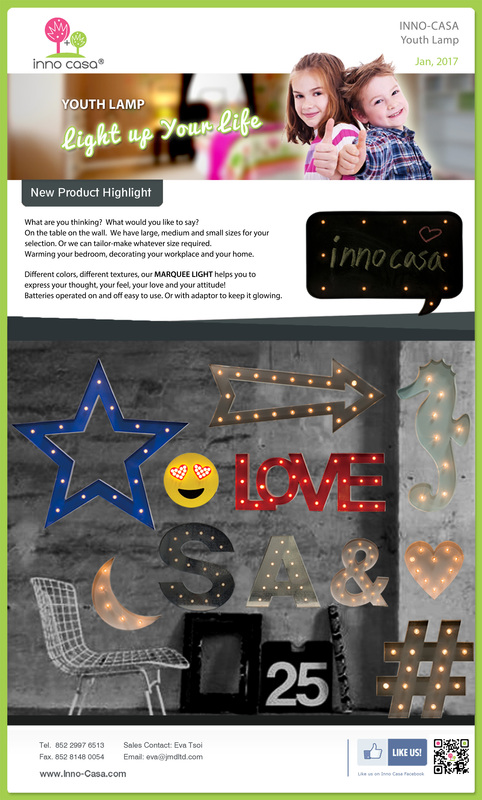 Take a look of our latest kids' lighting products. 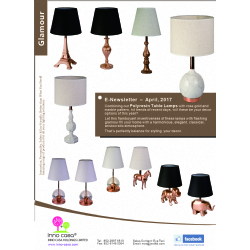 Get these Glamour Polyresin Table Lamps for styling your places perfectly ;)! 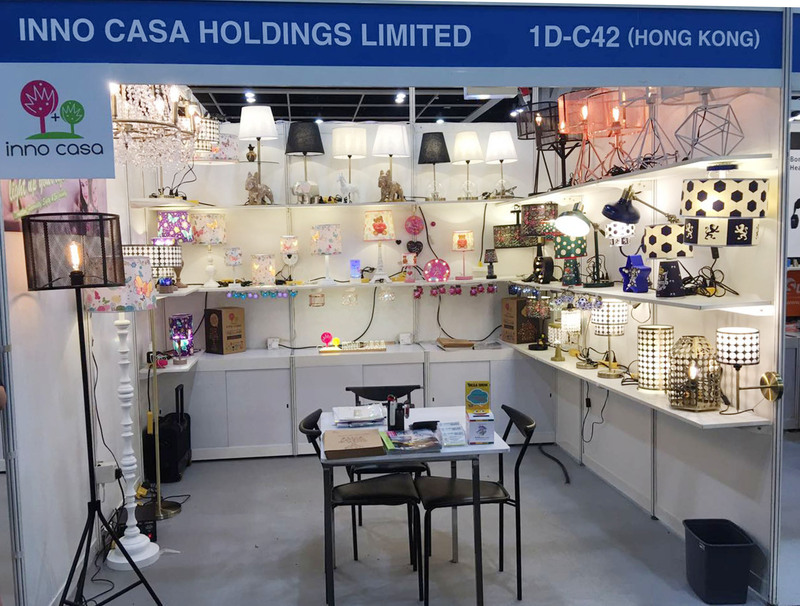 Inno Casa have successfully completed the Asia's largest lighting fair from October 27-30, 2017, the Hong Kong International Lighting Fair (Autumn Edition) organized by HKTDC. We are pleased that customers have impressed with our new indoor and outdoor lighting series launched in this year.